« What Will Yahoo! Buy in Local This Year? These are mostly practical/tactical pieces about SEO, though my “If I Were a Yellow Pages Publisher” rant made it in there . . . Lots of great pieces in all the categories. 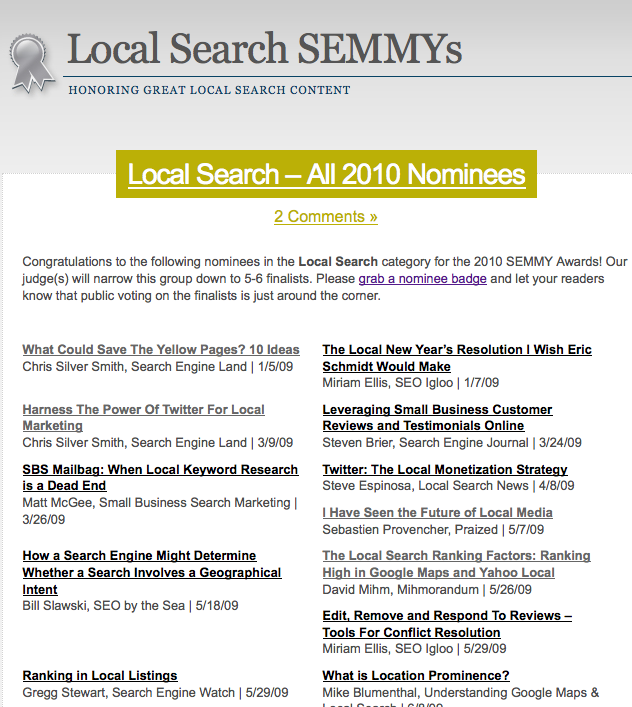 This entry was posted on January 15, 2010 at 3:39 pm and is filed under Local Search. You can follow any responses to this entry through the RSS 2.0 feed. Both comments and pings are currently closed.